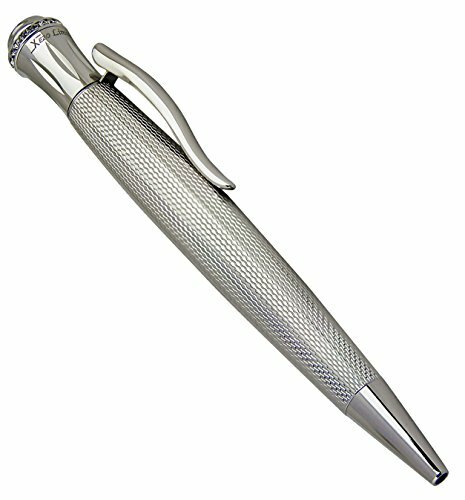 The Austrian Crystal Ambassador ball point pens produced in Limited edition. Each pen is individually numbered. Solid brass body is hand-engraved with Diamond-cut pattern and then plated in rare sparkling Rhodium. The top ring is adorned with 20 multifaceted finest Austrian crystals. The end-piece at the top is 16-faceted large size Austrian crystal. 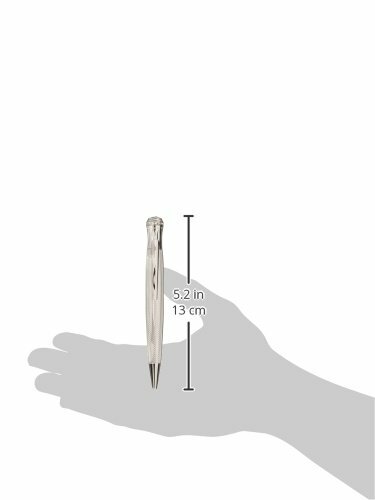 Medium point, German-made ball refill provides smooth, skip-free writing. 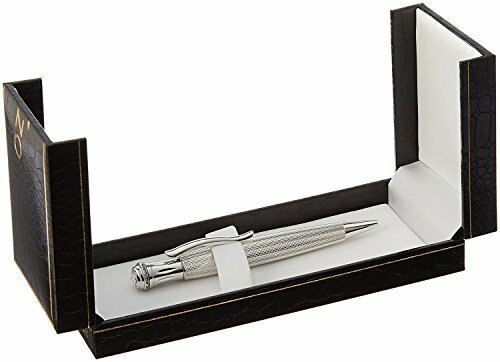 Original ballpoint refill is selectively interchangeable with a variety of commercially available ballpoint pen refills including Montblanc and Parker.Individually numbered. Produced as Limited-Edition. Weighty and balanced body. 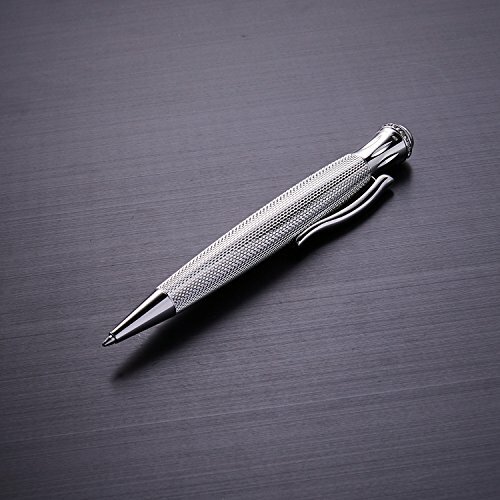 Pure Rhodium Plated and Mirror Finish. Length-129 mm; diameter-15 mm; weight-49 grams. Twist action. 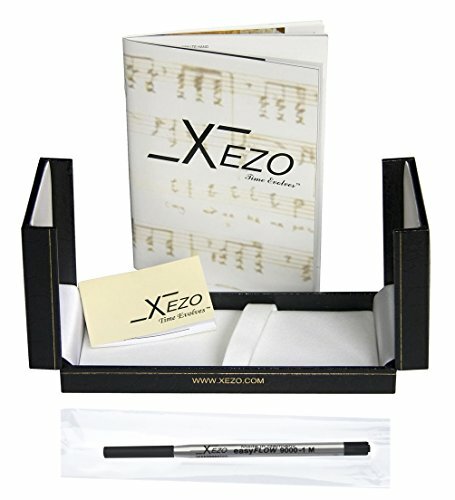 Supplied with gift box, (1) extra Xezo Speed master Gel ball pen refill, certificate and 3-year warranty card. German-made medium point. 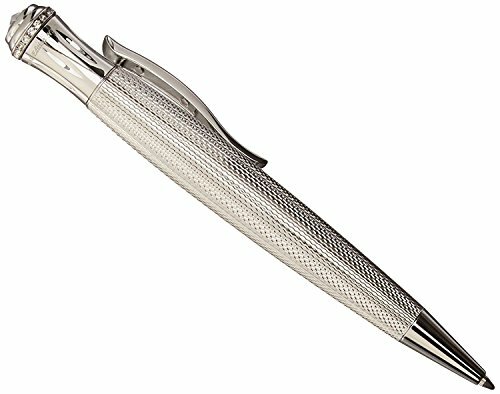 Twist-action ball pen.